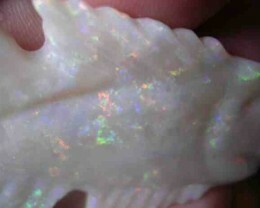 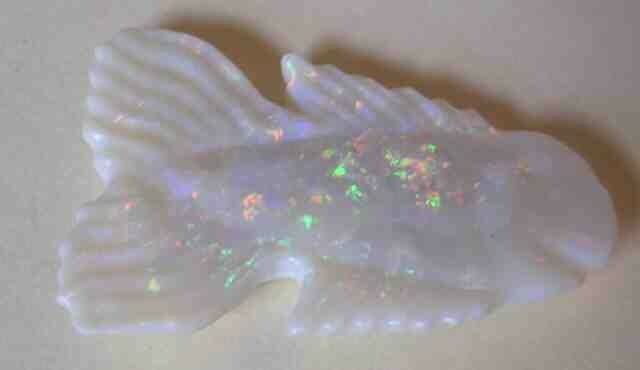 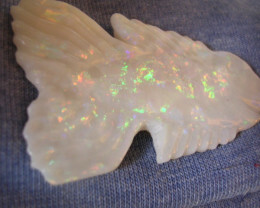 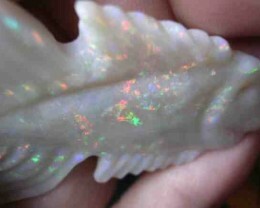 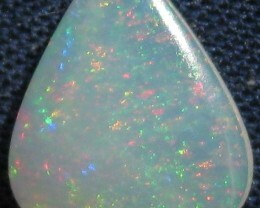 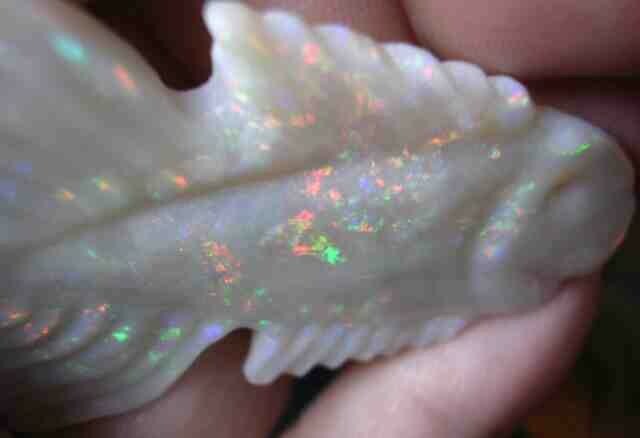 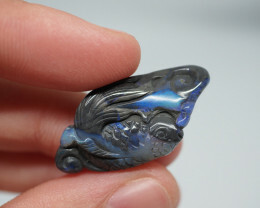 Lightning Ridge Dark opal carving. 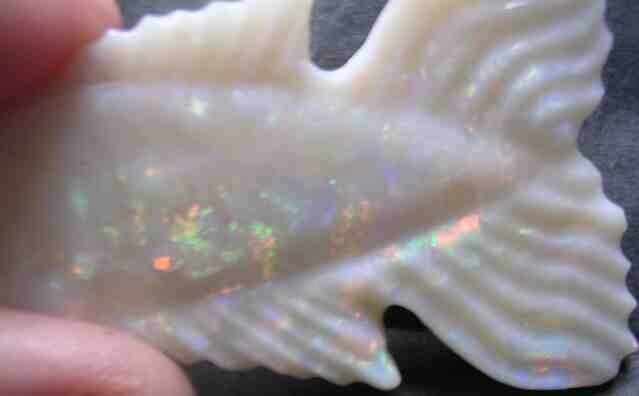 A very happy fish who will smile through the ages. 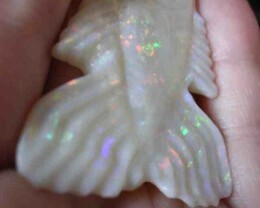 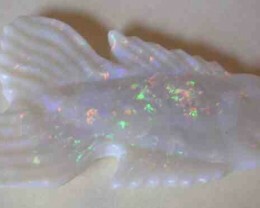 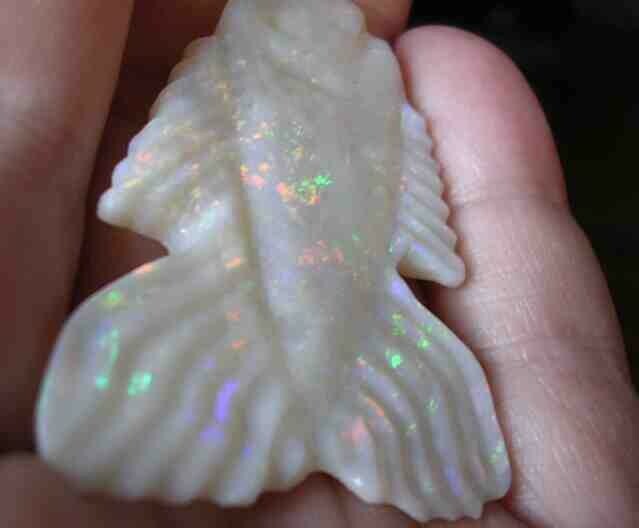 42 carats of multicolor flake fire in a rainbow of colors makes a bright and colorful carving. 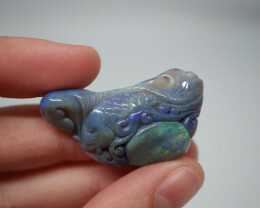 Very fine work by an American craftsman. Many long hours of hand carving and polishing using all diamond equipment at all stages for the ultimate in detail and finest polish. 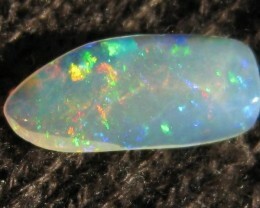 Totally unique and priceless, really. 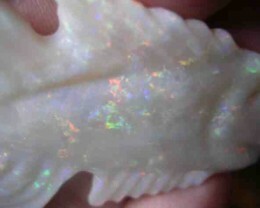 Offered here at less than $20 per carat, this is an opportunity to delight some lucky lady and to create a priceless family heirloom which will be cherished for generations. 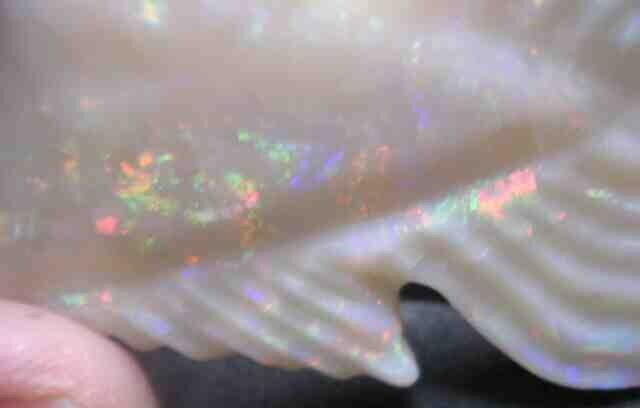 View all my other auctions here on OA. 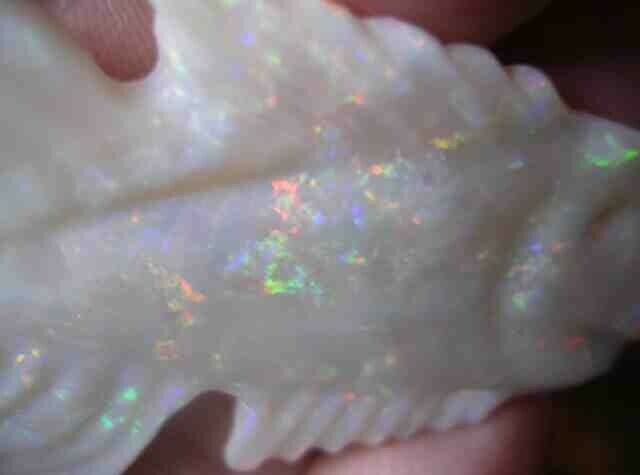 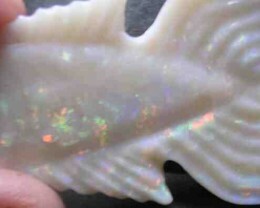 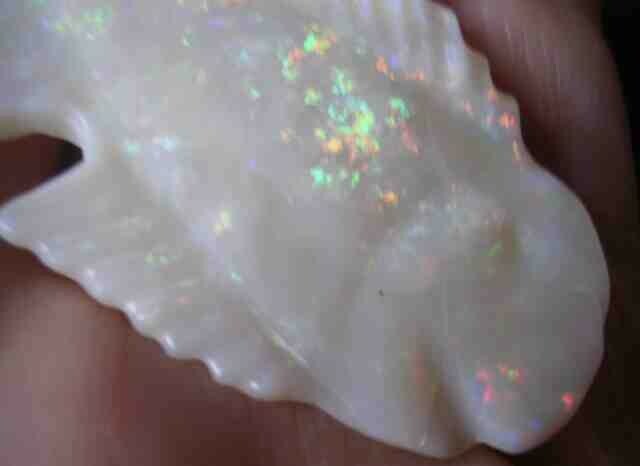 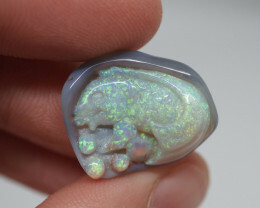 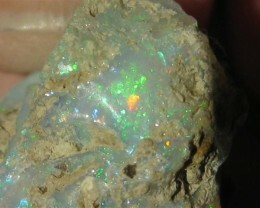 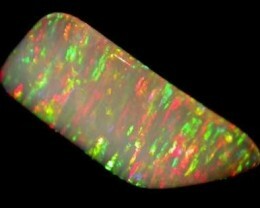 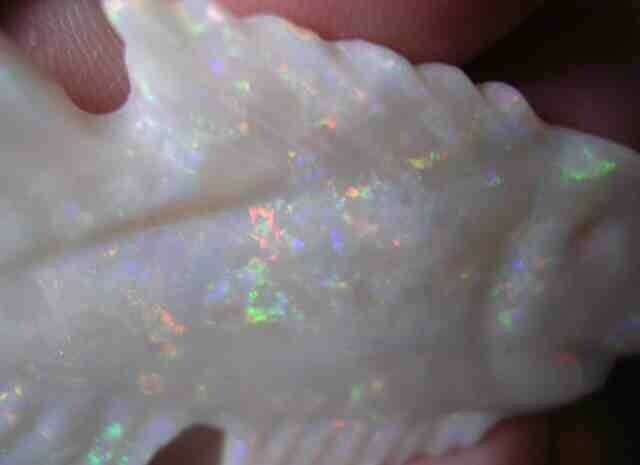 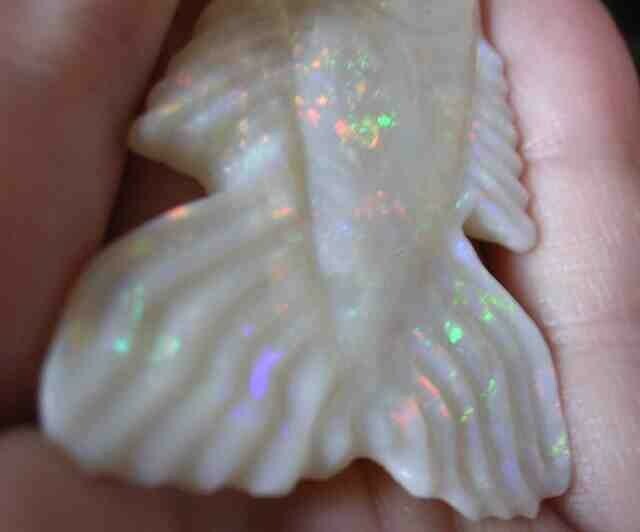 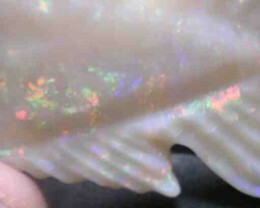 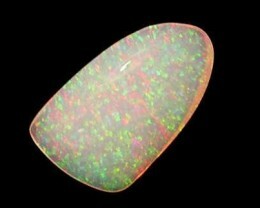 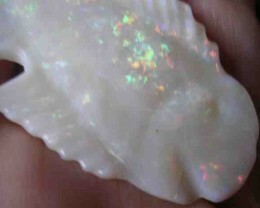 View My Opal Store here on OA.